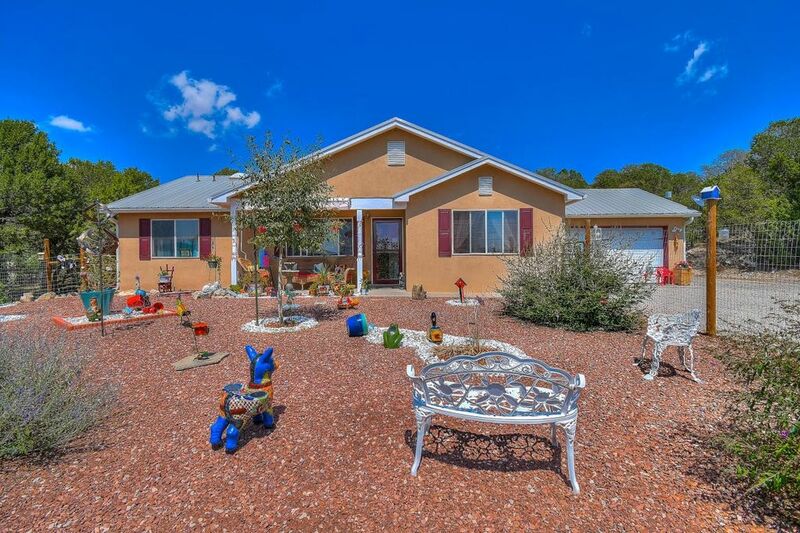 Beautiful custom Joe Boyden home in desirable Thunder Mountain. Pride of Ownership shows in this meticulously kept home. 3 bed, 2 full bath, wood floors in bedrooms, tile in other main areas, no carpet, water sofetner, nichos, plant ledges, sky light, wood burning stove with custom surround features, master bedroom separate from other bedrooms. Master bath has double sinks, separate garden tub and shower. Beautiful remodeled kitchen, Stainless steel appliances, refrigerator, microwave, granite counters, backsplash, pantry, pocket door. Enjoy views from front porch, fenced. Private gate with fob to enter lot, back yard gazebo, RV hook up, large shed can be used as a work shop. Close to shopping, restaurants and Highway. Home shows like a model.